This week, we meet Sandra (aka S) and her family. Sandra is an amazing blogger, wife, mum, writer, etc! You may be familiar with her popular blog about bikes, academia and parenthood. Sandra happens to also be multilingual! Sandra and her family live in the USA where she speaks Romanian to her daughter. We have one daughter who is a year old. 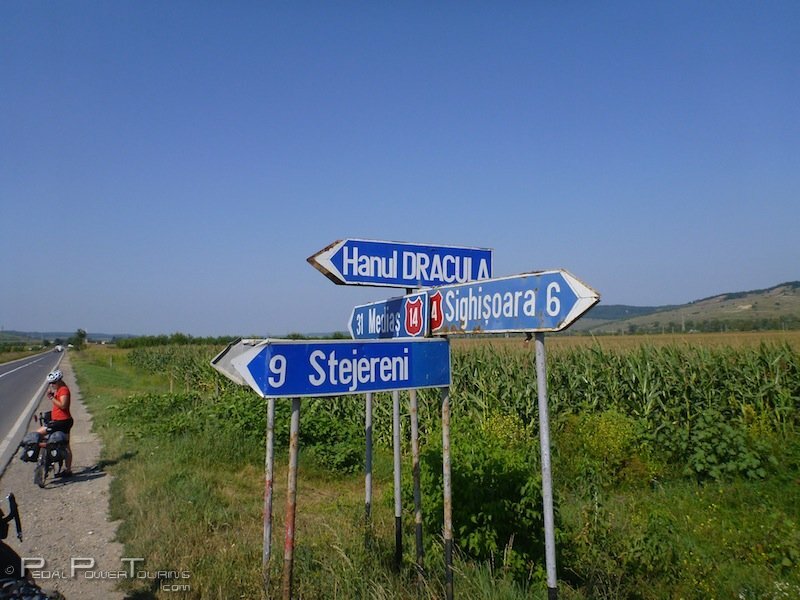 I speak Romanian, my native language, and my husband speaks English. We speak English with each other. My daughter is mostly surrounded by English, although we have friends who speak Italian and others who speak German to their kids, so she hears other parents speaking different languages with their kids. My parents and extended family all speak Romanian so she gets spoken to in Romanian when we are with them but, due to the geographical distance between us, that’s rather rare. I loved our recent vacation with my family in Romania and seeing how much Romanian-language input my daughter was getting -- from Romanian being spoken everywhere around us to my grandmother singing Romanian nursery rhymes to her. It was wonderful. I wish she had more of that on a regular basis and it didn’t fall primarily on me to provide all of her Romanian language input. This is a tough one to gage. Since I’m working from home and am her primary caregiver, she hears me throughout the day. But we’re very active in our community and are constantly with other parents and children and during the day, during which time English is the language being used. So although I will address her in Romanian, we are constantly surrounded by English. I used to wonder whether she’d get enough Romanian to learn the language but I’ve recently noticed that she responds to all the Romanian commands I give her (ie, “where’s the dog? Where’s your nose? Can you give your bear a kiss?” etc). This makes me so happy to see. When I was pregnant, I researched a bunch of methods (I’m an academic by training, so I went a little crazy…), and I had chosen the OPOL (One Parent, One Language) method. Once I actually had our daughter, I realized how difficult it is to stick to a methodology and to do things “by the book” when it comes to everyday parenting. That’s in part why I started the series on my blog asking parents to submit their bilingual parenting stories. I had so many questions about how real parents are making things work on an every day basis. I suddenly found research books and methodologies with specific rules to be overwhelming and frustrating because it felt impossible not to switch out of the language in certain contexts. My husband also enjoys picking up words in Romanian and using them with our daughter and I love that he’s learning my language right along with her. According to OPOL, I should resist ever speaking anything but Romanian with her and he should only do English. This strict division simply didn’t work for us and so we’ve taken on a much more “organic” approach: we each speak our native language but with muddy boundaries. I read to her in English at times and sing English songs with her, my husband tells her he loves her in Romanian and will name colors and animals with her in my language (excited to be learning them with her). This approach works for us and we enjoy the greater language fluidity we’ve embraced. I think what works really well is that I’m at home with our daughter and she hears me talk most of the day. Since we’re surrounded by English in our small Midwestern town and since English is everywhere in our life, it’s key that I get her for most of her awake time and can give her a much exposure to Romanian as possible. I feel very fortunate that I am able to work from home and don’t have to take her to daycare. I would love to find Romanian-speaking childcare, but unfortunately, that hasn’t been something we’ve found in our current location. To be honest, I don’t know what doesn’t work yet because she’s still so young and we’re still waiting to see how this all pans out. Right now she seems responsive to both of us in either language and is hitting all the language development milestones usual for a one-year-old. As noted above, it’s too soon to tell. As of now, we’re happy with our system and I’m grateful for such a supportive partner who encourages and sustains my efforts to teach our daughter my native language. Thank you very much to Sandra for answering my questions and taking the time to reflect on those answers. It will be so interesting to revisit her in a few months when her daughter starts speaking. 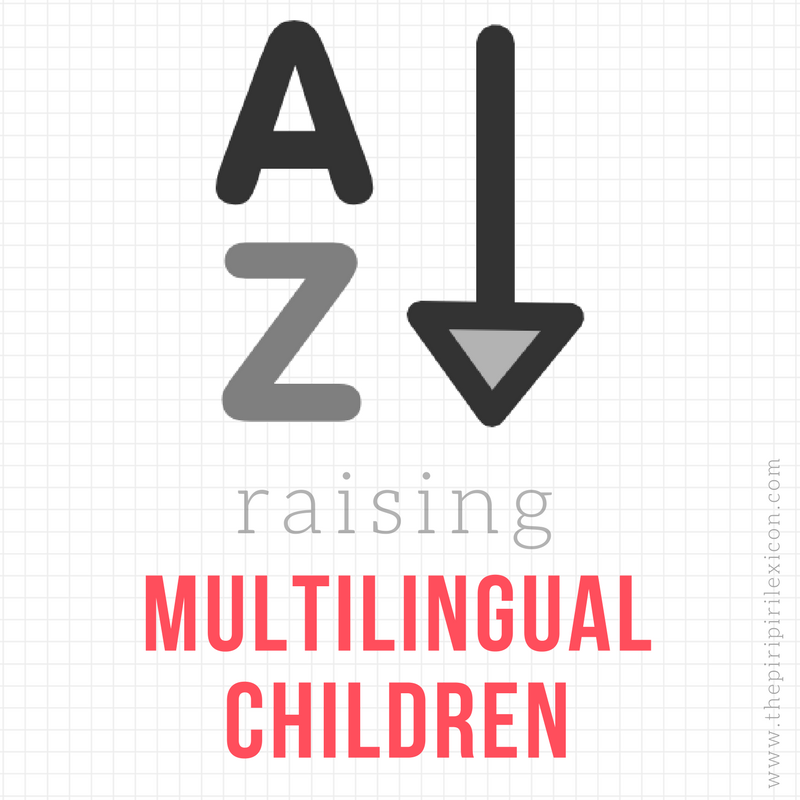 If you are a multilingual family and would like to be featured on my blog contact me. What a great interview. I agree it is so hard in real life to do everything by the book. Thanks for the chance to participate in your series of interviews! Keep the great resources coming! This is so interesting. I also did a lot of research about language learning and, while useful, you do have to go with what works! Great interview! I agree that it's hard to do things by the book. I just blogged about this myself actually.